In December Maddie treated me to our very first Rogue Underground Dining Society Event for Christmas! 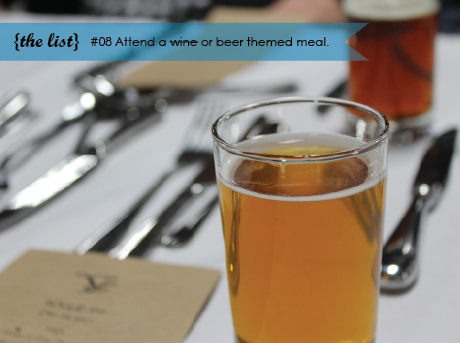 It was superbly done – and each dish was paired with a 4 Hands Brewing Company BEER! An excellent item to cross off my list. Check back tomorrow. Maddie will be dishing about the event – including the fantastic menu!